Actor Dennis Hopper died at 74 battling prostate cancer. Dennis Hopper will be remembered as a brilliant actor for his work in notable films like Hoosiers, Apocalypse Now, and Easy Rider. But let's not forget what made Dennis Hopper such a great actor, he never turned down a role. He showed up in some really unlikely places. This is a list of the stranger roles that Dennis Hopper agreed to play and here is the complete Dennis Hopper movies list. How do you fight a psycho? You become a psycho. That is the thought behind Tobe Hooper's Texas Chainsaw Massacre 2. Playing a former Texas Ranger, Lt. "Lefty" Enright, who's family was killed by Leatherface and his "family", Hopper commits himself to the movie and actually manages to pull an amazing performance out of it. The greatest scene is Hopper balancing out chainsaws, trying to determine which one would be better to use in his showdown with Leatherface. The entire movie is really fun if you're a horror fan, and Hopper's Enright makes for a great protagonist. The Crow films were on shaky ground when they even tried to make one sequel. This was the fourth. Wicked Prayer starred Terminator 2's Edward Furlong, Angel's David Boreanaz, and American Pie's Tara Reid. Give it up for mid-00's casting directors. 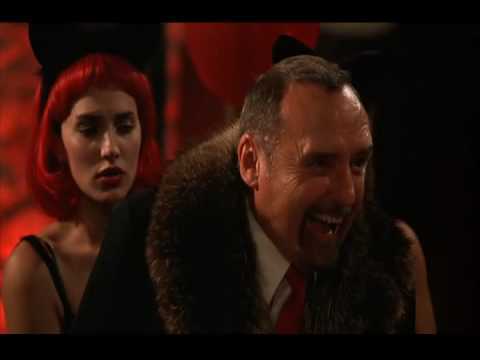 The only good choice made by the folks behind this movie was casting Dennis Hopper. Dennis Hopper plays El Nino. I'll say that again, his characters name is El Nino. Hopper gets to deliver such classic dialogue as "Wicked as props to you OG." and"You stole the keys to daddy's car, but you can't handle the horse power." He then facilitates David Borenaz becoming Lucifer. This is a prime example of Dennis Hopper taking an awful character and making it fun and memorable, anyone else and El Nino would have been ridiculous instead of a scenery chewing masterpiece. Watch the best of El Nino in the embedded video, skip the rest. After making Avatar prequel Dances With Wolves, Kevin Costner could do no wrong. The Studio trusted him so much they pretty much let him run rampant on his next picture, the disastrous Water World. The polar ice caps have melted causing the Earth to become an ocean planet. All that remains are the peaceful sailors that live on atolls and the evil smokers who live on an oil rig. That's where Hopper comes in. Kevin Costner's only brilliant move in this gigantic waste of a budget was casting Dennis Hopper as the leader of the Smoker clan, Deacon. Giving out cans of SMEAT and treating all of his "cousins" like dirt, Hopper was given some fertile ground to go nuts on, and he does it in fine form. 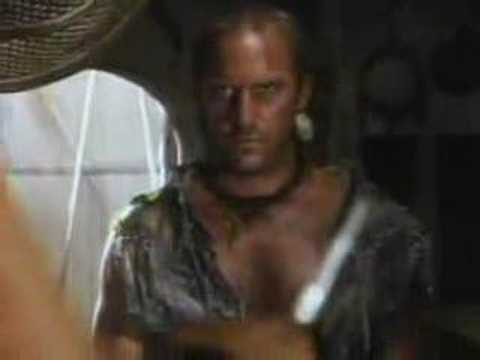 The character of Sol in Neil Marshall's Doomsday is hevily influenced by Waterworld's backwater Deacon. Is The Great Wall The Future Of Cinema? Why Did It Fail At The US Box Office?